The introduction of the Mine Health & Safety Act 1996 calls for the appointment of qualified practitioners at every operating mine and other non-operational mines where closure certificates have not been issued by the controlling authorities. The Occupational Hygiene and Environmental conditions to be monitored can be undertaken by an outside authority and thus obviate the need for a full time appointment by the mine at considerable cost savings. It is probable that the Occupational Health and Safety Act revisions will similarly call for regular monitoring of occupational hygiene factors under the same conditions as those under the Mining regulations. With mining operations and industry being pinched by escalating costs and narrowing margins, the availability of an independent monitoring and occupational hygiene consultancy could offer substantial cost savings. Staffed by experienced qualified personnel we undertake routine inspections, annual audits, problem solving, designing and supplying services to all clients. Monitoring of environmental conditions and system optimisation is also undertaken. We also provide comprehensive occupation hygiene and dust fallout monitoring training. 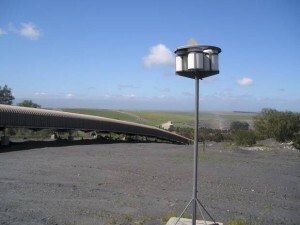 The company (GKEH – Dust Monitoring Equipment) commenced operations in August 1997, translocating its offices from Johannesburg to Piketberg in the Swartland, Western Cape as an operation ideally suited to service mining and industrial concerns in the Cape West Coast and Swartland areas. Expansion of the operation into Namaqualand, Bushmanland, Botswana and Namibia has become a natural extension to the original target area and the client base extended to the entire country as well as the neighbouring countries. GKEH – Dust Monitoring Equipment – have quality instrumentation to undertake all audit and survey work, with this being supplemented as required. We also offer a comprehensive design service of occupational hygiene and environmental engineering requirements, together with a project commissioning and operational assessment service to complement a total suite of skills. A complete gravimetric dust sampling, isokinetic and fall-out dust sampling assessment laboratory has been established on the premises to cater for industrial and mining concerns, as well as an audit and isokinetic sample analysis facility. A comprehensive water quality assessment and sampling service, both biological and chemical, is available through an associate company. Subsequent innovations have resulted in the establishment of a division specialising in the supply of our patented DustWatch fall-out dust monitoring equipment, assessment facilities and a full in-house laboratory service. The division controls sales of the units and systems, the servicing of client requirements, training, assessments and monitoring programmes in addition to the operation of an assessment laboratory servicing a countrywide client base. Our Chemical Engineer, Mr. Christopher Loans pr. eng has a Chemical engineering degree from the University of Cape Town and a Master of Public Health degree (Occupational Hygiene) from the University of the Witwatersrand, Johannesburg (December 2007). Christopher Loans brings specialist knowledge of process engineering, chemical stress and systems optimisation and computer programming. His background in the pulp and acid industry has proved to be valuable in our spheres of operation. Christopher has registered as a professional through the Engineering Council of South Africa (ECSA) as of the 1st of November 2001. Richard has assistant membership of the Institute of Occupational Hygienists of South Africa (IOHSA), Associate membership of the MVS of SA, and his duties include gravimetric sampling filter assessments, auditing, site assessments and drawing preparation. We are in a position to undertake stack isokinetic sampling and stack emission chemical analysis. Refrigeration, air conditioning, and ice technology. Dust control systems including filtration, scrubbing and suppression systems. Fume scrubbing and chemical plant effluent neutralisation. 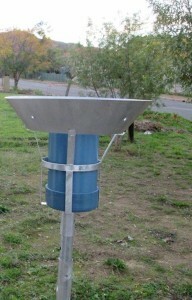 Specialised evaporative cooling and climate control systems. Acid and acid fume handling and scrubbing systems. Pneumatic conveying, placing and capsule transportation systems. Refrigeration, air conditioning and pressurisation systems. Dust control and ventilation systems. 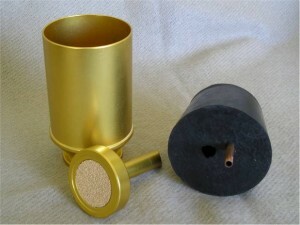 Fall-out dust monitoring services or equipment supply and training. Being service providers to the mining and industrial process industries, we are committed to providing an efficient service to local and remote clients, while remaining abreast of current trends. Our research and innovation program strives to retain a position at the forefront of environmental problem solutions.